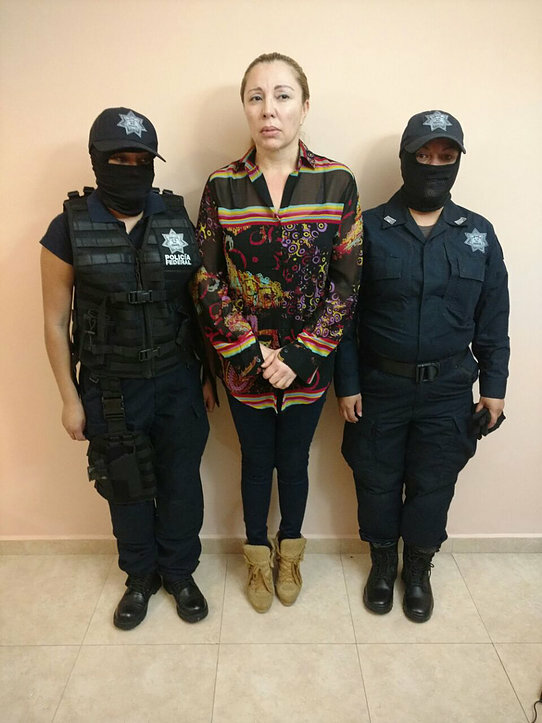 Clara Elena Laborin, 52, wife of of Hector Beltran Leyva, (alias "H") was detained on Monday in Hermosillo, northwestern Sonora state, along with another cartel operator, Alan Contreras, according to the federal police. Borderland Beat reported in November of 2015 that Laborin, nicknamed "La Senora", assumed leadership of the Beltran Leyva cartel after the arrest of her husband, the alleged drug trafficker "H" in 2014. She has a home and members of her extended family live in Hermosillo. Her arrest on Monday was not the first time she had been deprived of her liberty in the city. 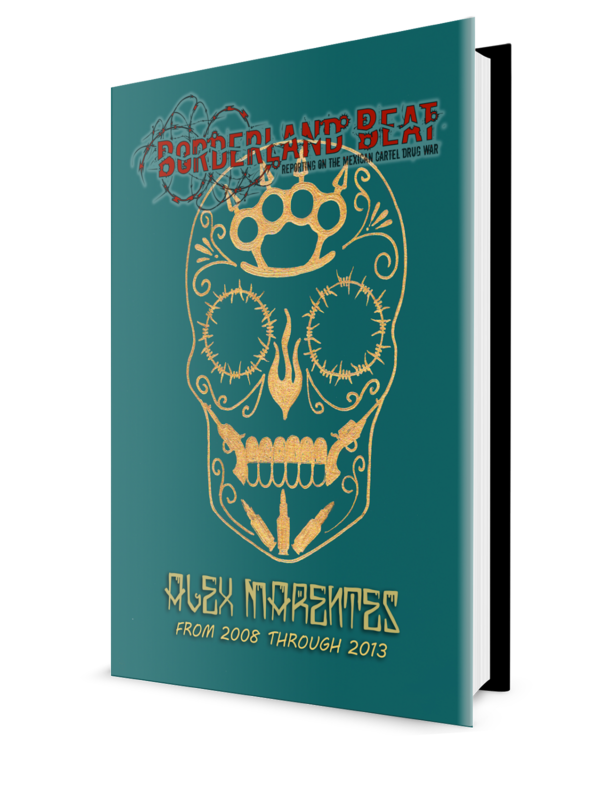 In April of 2010 she was abducted in front of her home in the community of La Alameda, not far from the headquarters of the Sonora State Preventive Police. by operatives working for Nacho Coronel.. The kidnapping had been brought about by bad feelings between the BLO organization and Nacho Colonel after a dispute between the 2 over a joint enterprise they had been engaged went sour and Nacho wound up controlling the profitable enterprise. 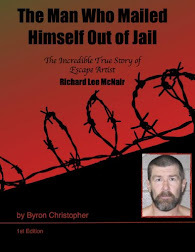 After the splt Arturo Beltran "El Barbas", head of the Beltran Leyva clan ordered the execution of Nacho Coronel. In early April of 2010 suspected gunmen allied with the Beltrán Leyva killed Nacho's son , Alejandro Coronel, age 16. Assassins in the service of Colonel counterattacked. In Nayarit they killed 10 people and burned their bodies. 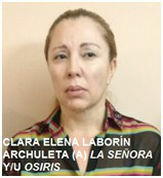 Weeks later in Sonora they kidnapped Clara Elena Laborín Archuleta. "We are going to teach you how to be a man and to respect family, murderer of children. Here is your wife, which you refused to answer for. I hand her back to you healthy and safe so you can see and learn that for us family is sacred. We do not kill women or children, we are only going after `El Hache´ y `El Dos Mil,´ as well as several police officers working for Hector Beltran Leyva and Francisco Hernandez Garcia." This time her detention by the Federal Police may not be as brief as it was when Nacho had her kidnapped. As reported in Yahoo News, the Federal Police Laborin is "identified as the head of operations of a criminal cell with a presence in Sonora state." She and Contreras "are considered among the main generators of violence in Acapulco,"
In 2009, the US Treasury Department sanctioned Laborin and 21 other individuals for their ties to the Beltran Leyva organization, freezing any assets they may have in the United States. 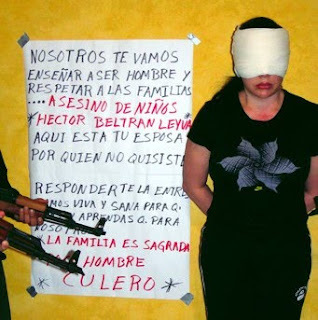 "We're starting to see more and more women climbing through the ranks of many of these cartels,"
"There's one key factor that distinguishes them from other female traffickers: ...they're extraordinarily ruthless and highly intelligent," Vigil told AFP. "They have to be extremely ruthless otherwise the men won't pay attention to them, and they have to be highly intelligence because they engage in the more sophisticated aspects that the cartel does such as money laundering and logistics, the corruption of public officials." "The Web site ANG reported that 2 mg of cocaine and illegal firearms were confiscated at the scene of the arrest. It also reported that La Senora is not part of the 122 priority objectives of the Federal Government; however, she is included among the 50 priority objectives of the new Reconsideration of the Strategy Attention of Guerrero. Her capture is the 22nd of the 50 priority players on the list. "She is considered one of the main generators of violence in Acapulco, from funding her organization and related cells disputing control of the port with the Independent Cartel of Acapulco (CIDA). A poco si platicaste con ella en persona? Si no eres puro cuento ojalá y compartas información con nosotros. No mataba ninos ni mujeres. Pero estoy seguro que unos cuantos inocentes si murieron por el. Entonces tu conoces a todos de LA mafia com perro?. Haha estas destrampado! 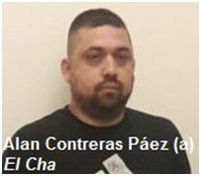 What about the article on the arrest of #122 on Calderons narcos list? He's from CDS and was arrested yesterday in Quintana Roo. So that's why nacho coronel got killed.El H got him killed Not even a month after nacho kidnapped her. That's when Mencho got to be the boss of cartel de Jalisco. Crazy..
Dude don't be stupid. El H was afraid of Nacho and the ones who kill him was the military. 10:29AM The article says an execution was ordered but it was never carried out.Coronel was eventually killed by the military. Someone sanctioned the hit 11:39. The Mexican military doesn't kill for free. The military don't just go around killing people, they usually need their orders from above to execute their contracts. El H had the military on his pay roll and greased some palms to get Nacho killed. H was never a guy with big balls, but with big brains. You're both wrong. The military don't need anybody's sanction to kill. Coronel had killed one of the military men in the operation so all bets were off. Stop living a narco-novela dream world. Thanks for your responses. The first reply has a point but I haven't seen any evidence to support that the killing of Coronel was at the behest of a narco.As to the second, yea, I know about the chain of command (Im ex military) but seems irrelevant, it's Mex after all. I just don't see the stubborn need to have it all be a freaking novela. No importa lo que digan estos ojetes ese mi perro yo si le creo compa. No pinchis mamen, no fotos from when she was Reina de la belleza? aqui se ve muy vieja y traquetiada y ojeruda y pasty white la rucailona. Big Deal, she'll be free for lack of evidence. coke and firearms lack of evidence?